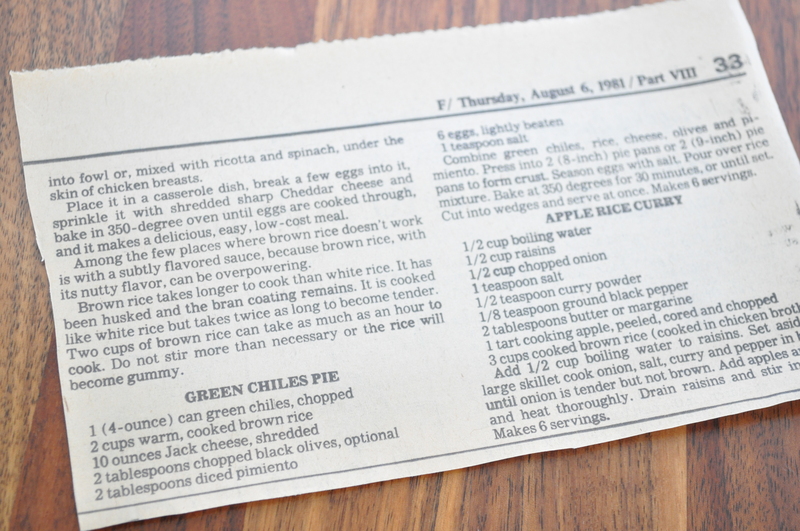 Digging through Grandma Mary’s recipe binder, looking for a little inspiration and I found Green Chiles Pie. Sounded pretty good. Because: A. I love green chiles and B. I had all of the ingredients on hand so I wouldn’t have to drag the kids to the store. The latter sealed the deal, for sure. 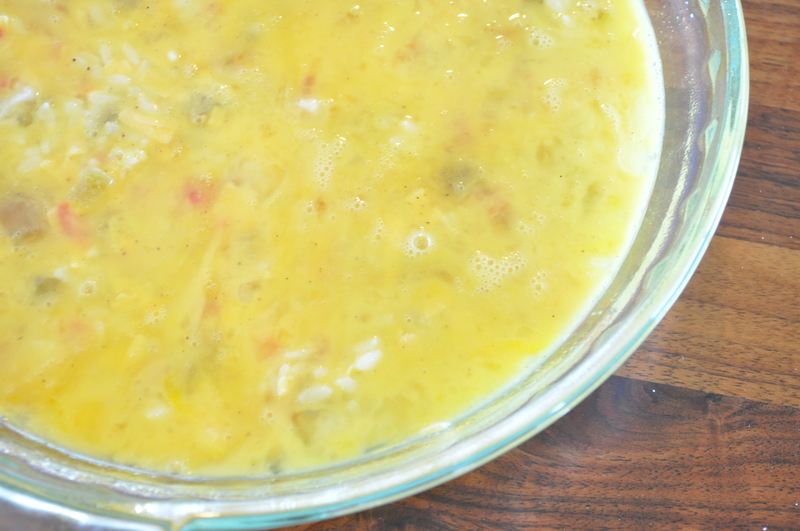 This recipe has just a few ingredients and it was a cinch to pull together. Even easier if you have a rice cooker! It was ready to be baked faster than the oven preheated. Quick, easy and versatile. 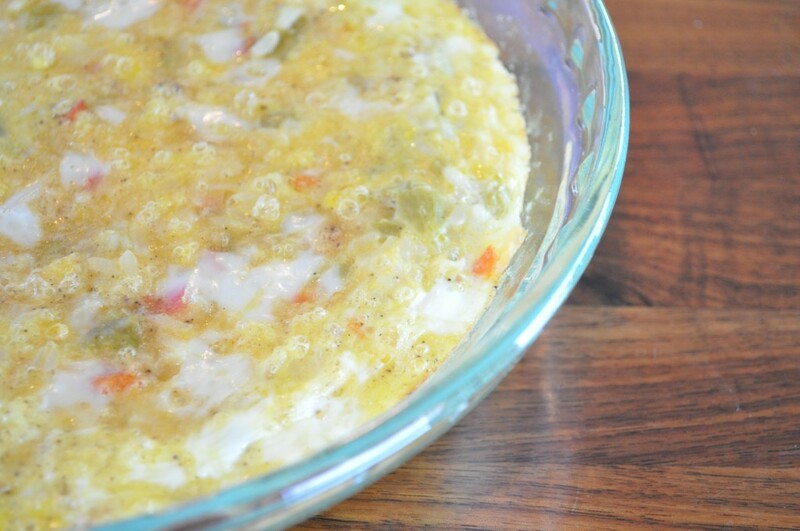 When quiche marries casserole, this is the offspring. Great for brunch, lunch or even dinner. 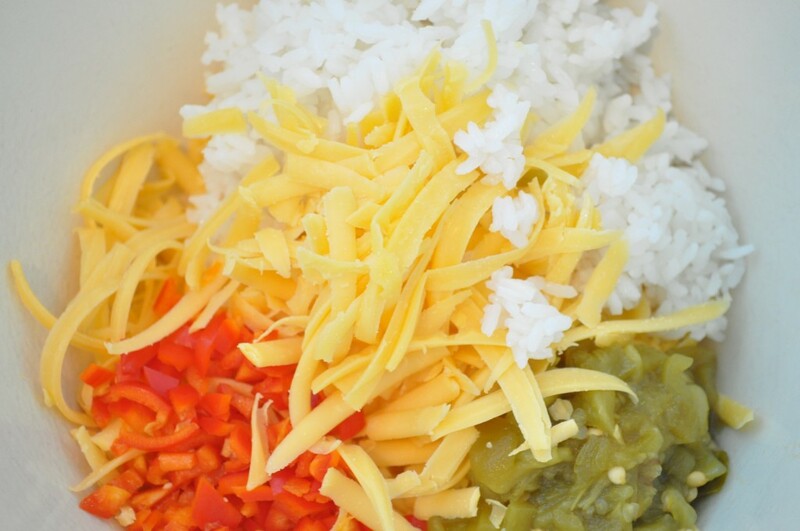 Combine green chiles, rice, cheese, olives and pimiento. Then press into 2 greased pie pans. Scramble and season eggs with salt, pepper and garlic powder. Pour over rice mixture. *I used white rice because, as discussed I didn’t want to go to the store. **I used cheddar. Pepper jack would be great too. Use what you’ve got. ***I chopped a red bell pepper instead of the pimiento and the taste was still great. Give these guys a quick stir. Then press them gently into the prepared pie pan. 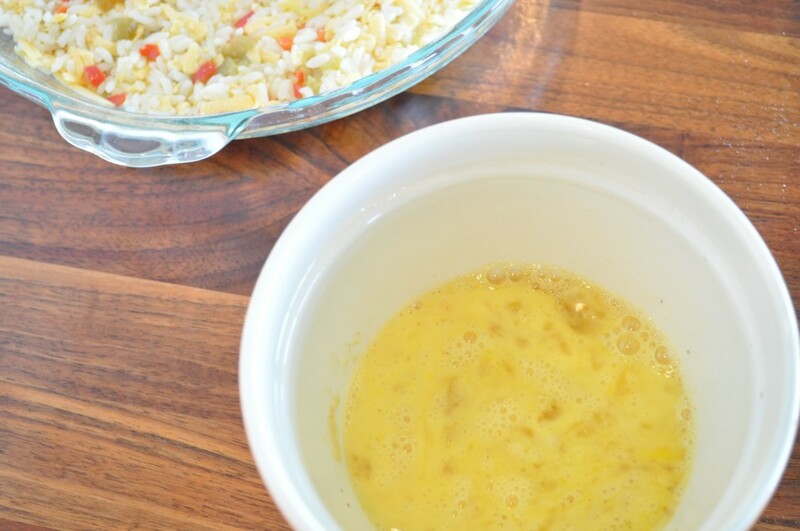 Scramble the eggs with the seasonings and pour over the top. When a knife comes out clean you’re all set. 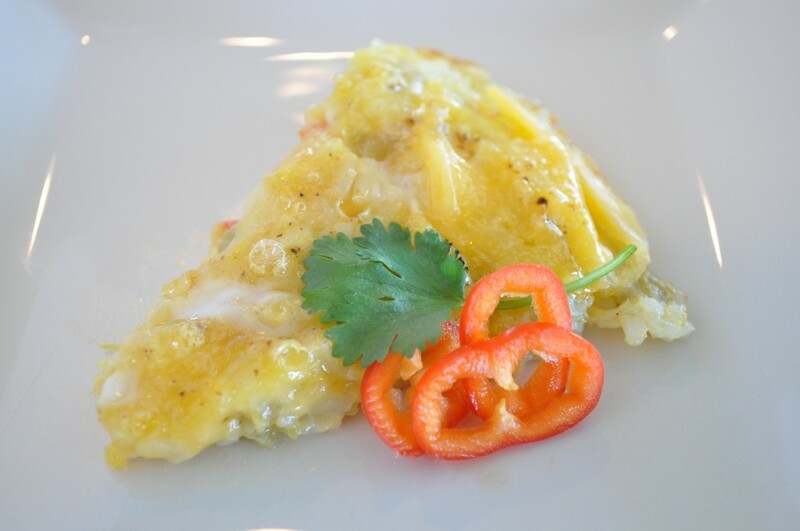 Serve it right from the oven or bake in advance and reheat in 350 degree oven. What other flavor combos do you think would be great? That looks so easy. I will definitely try this one! So so easy! Let me know what you think. We (pronounced Brian) need to get you a Pinterest plugin so I can start pinning some of these to my food wall!